Let's face it. Dogs are more than just pets, they are our babies. And, most times, they believe they are human too. They talk back when we speak to them, some sleep on the bed with us, or at our feet, and some of them are beyond spoilt silly. It's no wonder that our pets do some crazy things. 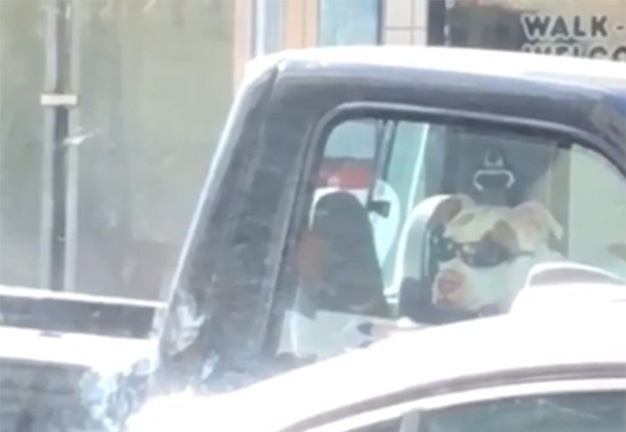 Just like this dog, who first of all is wearing a really cool pair of sunglasses, is seen getting into the front passenger seat from the back of a bakkie. Since he is wearing some shades, he most likely just wanted to get out of the blazing heat, patiently waiting for his owner to return.